What? It's not a day to review nonfiction! I know, I know, but when I originally started seeing publicity for this I fixed it in my mind as fiction. Once I found it wasn't really...well, it's still sort of fictional in my head. So, this is another series Papercutz has brought over from Europe - France or Belgium, since it looks like the original was in French. It has a lot of elements that will be familiar to readers of foreign comics. The comic strip format, smaller type and dense text, and the familiar comic art with lots of bug eyes and physical humor. What's different about this is there's not really a storyline - it's a compendium of dinosaurs with a healthy dose of humor. The endpapers show a comical progression of dinosaurs by size from the massive brachiosaurus down to...a human, running away with a look of shocked terror, visible even on his silhouetted face. The "story" begins with an introduction to dinosaurs by Professor Indino Jones. Then we move on to the main part of the story. Each different dinosaur has a page or two. With speech balloons, jokes, and lots of dino action, we learn a a few facts and usually something interesting about the dinosaur and it ends with a quick run-down on the dinosaurs habitat, diet, and physical characteristics. The sections on specific dinosaurs are interspersed with Professor Jones' giving information about dinosaurs from their history to paleontology with, of course, lots of jokes and humor. This is light and fun - kids who feel they're "too old" for the dinosaur craze will just love the silly humor, while younger kids will enjoy this as a read-aloud. The one thing I'm not sure about is where to put it. While it undoubtedly has strong nonfiction elements, things like talking dinosaurs and time-traveling professors are certainly fictional and the art style reinforces the more fictionalized aspects of the book. I think I'll be putting this in juvenile fiction because I think it will find more readers amongst those looking for funny comics than kids who are planted in the nonfiction dinosaur section. Same reasons I have Nathan Hale's Hazardous Tales in fiction. Verdict: Light and fun, this is an entertaining and painlessly educational read that a wide range of ages will enjoy. 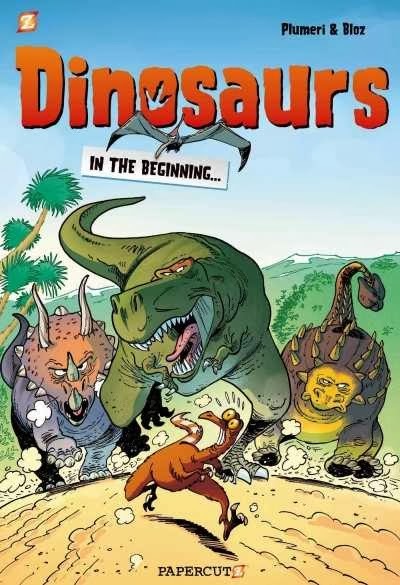 Not a must-have purchase perhaps, but definitely one to add if you have the budget to expand your graphic novel collection, for a school collection if you are doing units on dinosaurs, or if you just want to pump up your circulation statistics! This was originally a short story, but has been extended to a full-length fantasy novel. I feel this was a little, well, self-indulgent perhaps. It definitely has an audience, and De Lint and Vess both have lots of fans, but I think it made a much better novella than a novel. The basic story: Lillian is bitten by a poisonous snake and the friendly cats of the forest save her by transforming her to a kitten. When she decides she wants to be human again, despite all warnings, she discovers that magic always has consequences. Now she has to start her journey all over again and pass through many magical adventures and meet many strange people before she is offered another chance to make things right and save the people she loves. This book expands the original novella, from what I remember of reading it, to include a lot more different magical and animal characters. It also expands the setting, which feels very Appalachian, although I don't think a specific geographical location is ever mentioned. The story is episodic and has a strong fairytale feel. Of course, Vess's art, even in roughs in the ARC, is beautiful and De Lint's prose is equally lush and entrancing, if a bit repetitive for those who have read a lot of his work. Verdict: While I wouldn't expect this to get picked up on its own, it would make a fun bedtime story for an older child and kids who like fairy tales will enjoy the different magical episodes. An additional purchase in my opinion though. I think someone mentioned this on a webinar. Anyways, although it's a few years old, it was definitely worth reading. I do a lot of seed-based storytimes and projects and this is a great fit for that as well. 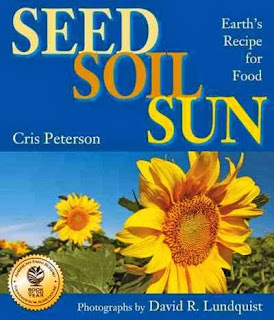 The first couple pages talk about seeds and growing in general terms - how we get our food from things that grow, corn is the most often planted, etc. Then the actual explanation of how seeds grow begins. Corn is the example, and the book talks about how the sun and rain sprouts the seeds, what they need in terms of dirt, earthworms, and photosynthesis. The book ends with a quick discussion of different types of seeds, fruits, roots, and stems that we eat. The photographs are a big draw. They are contemporary, showing lots of kids in various farm and garden settings, but not so time-specific that they won't still be fresh in a few years. Verdict: While this is a little text-heavy and has some more difficult vocabulary for a straight read-through in a preschool storytime, it would work very well with my patented dip 'n' read approach for nonfiction and even better for an older group. Pair this with some gardening books and maybe a flannelboard identifying fruits and vegetables. I've lived here for almost six years now, and in Illinois for about a year and a half before that, and this is the first winter that's really gotten to me. It's not the lack of sun - I can go quite happily for days with rainy skies. It's the endless white, the slushy roads, and the freezing, freezing cold. Happily, it looks like one of my amaryllis bulbs has said "to heck with growing tall, I'm just gonna flower and get it over with" so I'll have some color soon! Otherwise I might have to go sit in a greenhouse for a while. For some reason the more stressed, overworked, and tired I get...the more I have the urge to start another blog. So I did. It's Animation, Not Cartoons will be very similar to my Flying off my bookshelf blog, but it will be movies. The title is a kind of joke I like to make - when you're an adult who watches cartoons, it's animation, not cartoons! I try to preview everything I buy for the children's section, so that will be most of it - I'm getting asked more reader's advisory type questions for movies, so having it in one place will be handy. Be prepared for snark though! This week is really exhausting and blah - and next week promises to be even more stressful, since I'm subbing for two of Pattie's storytimes. Nobody can have an unstressful program if there is a 50% chance kids will cry when they see you. And, probably because of all the stress and the dismal weather, I'm having you-are-horrible-librarian vibes. One of the kindergarten teachers I visit said what an awesome reader I was - they love my expression and read-aloud skills. A caregiver at storytime said she's going to see if one of "her" kids can take a day off school, she's been sooo anxious to visit the library and come to storytime that she didn't want to go home because she thought she would miss library day! Talking to a mom after storytime, she wanted to know who puts the picture books on top of the shelves - she said that they just don't look interesting when they're on the shelf and she always browses through and picks from the shelf top selection. It took me a long time to get that change made and it's been sooo worth it. A 4K teacher at one of our preschools has been telling people about the remote collection I'm restarting with them - she's very enthusiastic! Two parents asked for two different kids' movie series we don't have - one an older series, one a new one that's coming out soon. I went over Amazon with them, figuring out which exact titles they wanted, and told them I'd be ordering them soon. They were both really excited and one mom in particular, who wanted the older series, said how nice I was to take the time to pin it down and get it! Yay for my customer service! A teen said she liked the digital photo frame upstairs - I didn't get any feedback when it was downstairs, so apparently that's a good move! A kid finished 1,000 Books Before Kindergarten and they want to read MORE! I spent time showing them new areas they hadn't explored, like nonfiction, and read-alikes for their favorite books. My Awards display is checking out a lot, mostly the picture books, but also the chapter books. The replacement copies I bought of the award winners make them much more attractive and several people have commented on books they remember reading as a child and encouraged their kids to try them. Reader's Advisory request - a woman is planning a baby shower and as one of the activities all the attendees are going to take turns showing the new mom how to read aloud. I'm so pleased she thought of coming to the library and asking me for suggestions! The last Theodosia book I reviewed was Eyes of Horus in 2010, the third book in the quartet, and I'm finally, finally reviewing the final book! After many trials and tribulations, Theodosia has gotten herself and her cat Isis to Egypt, where she hopes to return the Emerald Tablet and the Orb of Ra to the wedjadeen and maybe redeem her friend Awi Bubu, back in London. She also hopes to figure out the mystery of her birth and find some archaeological treasures. Of course, nothing can be easy in Theodosia's world and she quickly runs into suspicious and murderous opponents, possibly villainous architects, a helpful street boy with a mysterious past, and it seems she's farther away from being the daughter her mother wants than ever before. While this book is, in some ways, even more action-packed than the first three titles, it also has more depth and thoughtfulness. Theodosia learns much more about herself than she ever wanted to know and has to make some hard decisions about what she's going to do about her knowledge. The author does a good job of winding up the quartet in a way that's realistic and yet satisfying, while still leaving some speculations and questions to be answered. The one element that I felt didn't handle as smoothly as it should have was Theodosia's interactions with the native Egyptians. She's been dealing with a predominantly white, male-dominated, very Victorian secret society and her exposure to the Egyptian nationalist movement and the Egyptian secret societies seems awkward, especially when the author tries to connect the wedjadeen and the Brotherhood of Secrets. However, in some ways that's a realistic touch in and of itself - both groups have to realize they are going to have to compromise and give up some deeply held beliefs in order to continue their missions and Theodosia's moment of comprehension when a local Egyptian equates the nationalist movement with Theodosia's own struggles for independence fits smoothly into the narrative and Theodosia's development. 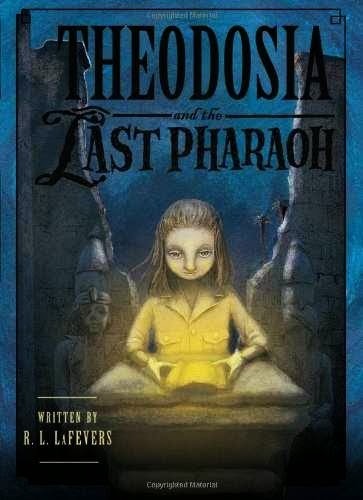 Verdict: I really love Theodosia and I think it's a pity I have a hard time selling these to kids. Although mythology is big now, thanks to Rick Riordan, some of my parents are wary of books that involve the more religious aspects of mythology (and this series has a LOT of those aspects) especially curses and demons. Theodosia's spiky personality and more introspective moments also seem to discourage kids who want non-stop action without any pauses. However, I continue to soldier on and recommend it to kids who like humor, mythology, curses, and a good dose of Victorian dramatics. You might think I was feeling longings for spring, reviewing all these spring-type books in February...except I actually wrote these in December. Christmas day, to be exact. Hah! Anyways. I have no idea where I saw a review or mention of this, but I was delighted by it when I came to read it. Publishers are producing some really great easy nonfiction these days and this is definitely up there. The endpapers are the opening of the book; on a background of green-speckled yellow, the author explains the importance and wonder of honeybees and introduces the book - it will be the story of a scout. The rest of the book follows Scout through her first trip out to find pollen and explains how she finds her way, recognizes flowers, gathers pollen, and leaves a trail for the rest of her fellow scouts. 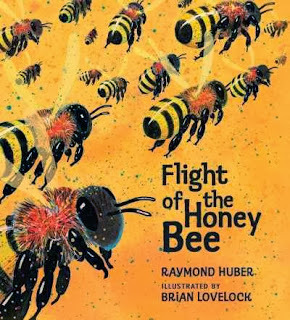 Small captions add additional information about bees and the main text is broken up into simple paragraphs that could be easily adapted to a younger listening audience in storytime. The other set of endpapers have a brief list of things readers can do to help bees, an index, and a note about the author and illustrator. While I generally prefer photographic art for easy nonfiction, to make it easier for kids to make that divide between "real" and "pretend", the art in this book is so gorgeous that I can live with it being more conceptual and less photographic. Blazing splashes of color on speckled backgrounds of bright yellow, cool greens and blues, and vivid oranges are truly eye-catching. I especially loved the spread showing Scout in the rain - the giant rain drops look like hail and really capture how dangerous such a simple thing can be to a small insect. Verdict: Definitely add this one to your easy nonfiction and think about ways to use it in storytime. Recommended. Yay Monday vacation, especially since it was FREEZING again. I could stay inside until spring quite happily. With Raven Ring by Patricia Wrede I began my project of reviewing my entire personal library, some 2,000 books at the moment. I'm going to *gasp* actually tag these reviews, although it's not something I usually do on that blog. I always start out really well cataloging everything in LibraryThing but at some point, I break down and forget to mark that I own things, don't put them away and just shove them on a shelf, etc. Then last fall I brought in some more shelves and now my books are piled all over the place. So, project organization! I was originally going to do a big party for Paws to Read, but I only ended up with 25 kids participating, which means I only expected maybe 3 families, so I moved it to the Storyroom and basically just put out lots of paper to make Valentines, encouraged the kids to make valentines for their favorite books to put up in the library, and I had cookies that I'd baked for everyone. Only one participant actually came, but a couple other kids showed up, and then a lot of people started dropping in later. However, I was leaving, so I just left the room open and put up a sign for people to have a cookie and make a valentine. I had brief thoughts at one time about doing drop-in crafts on Saturdays, or just opening the Storyroom to play, but it never came to anything. However, occasionally now when I'm working Saturday and have leftovers from a Friday program (i.e. I don't feel like cleaning up on Friday), I'll leave the room open and tell people they can play in there as they come into the library. Everybody likes this. Or, at least, nobody has complained yet. Another Cybils season comes to an end with an awesome line-up of winners! I'm especially pleased with the winning choice of my category, Elementary and Middle Grade Nonfiction - Look up! Bird-Watching in Your Own Backyard by Annette LeBlanc Cate. I'm planning some exciting things this summer around birds and this book is going to play a big part! I'm also really pleased with the final choice in early chapter books, the category I judged for round 1 on - Home Sweet Horror by James Preller. Need scary books for younger readers? Look no further my friends. Take yourself over the Cybils blog to see the complete list of winners! Katie and David think life is pretty sweet. After living in rat-infested poverty, their parents' invention has paid off and now they're living in a mansion with everything they'd ever wanted, except one a baby sibling. They're thrilled when their parents tell them they're adopting from Katkajan but they're less than thrilled when they meet the babysitter who's going to stay with them while their parents are gone. There's something...strange about her. They find out all too soon, when their parents leave and it turns out she's part of a gang of insurgents from Katkajan. 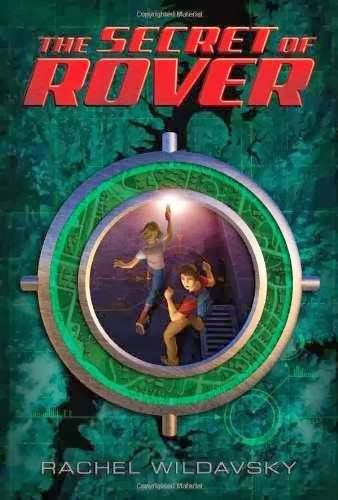 Soon they find out that their parents and baby Theo have been kidnapped and their only hope is to go on the run, desperately hoping they can make it to their reclusive uncle and that he - and their parents' invention - can save the day. This book is a weird mixture of realism, wish-fulfillment, and fantasy. The opening description of their poverty-stricken life and new wealth is just...weird. It sounds like one of those old rags to riches tales, and more especially like it was written by someone who didn't have experience of either end of the economic spectrum. It sounds more like what a kid would imagine living in extreme poverty and then extreme wealth would be like. Although I've never lived at the wealthy end of the spectrum, I've cleaned at that end (-:) and there's a distinct lack of the servants needed to run a mansion that size. The way their parents cheerfully announce that they're taking off in two days to pick up their baby daughter doesn't ring true either - international adoptions, even expedited by friends in high places, take a loooong time (not to mention all the controversies surrounding them). That part really, really bugged me. It's like the parents are looking for the perfect accessory to finish out their new life and "hey, remember when our kids said they wanted another sibling? Let's get them a baby for their birthday!" And, of course, there's the stereotypical foreign terrorists. Once Katie and David go on the run, the story abruptly switches to realism. I didn't like this part the best - it wasn't exactly fun reading - but it certainly felt the most realistic. They argue, make stupid mistakes, get sick and tired, and have to pee in a truck and then sit in there for hours (stowing away is not a clean business). When they finally reach their uncle, the story flips back to a rapid series of coincidences, resulting in a happy ending for all. Verdict: The two extremes, between the realism of the kids' flight and the fairy tale beginning and ending, made this a really schizophrenic read and not one that I'd recommend. The number of adventure/conspiracy stories out there is legion and this isn't good enough to rise above the crowd. Now THIS is a great easy construction series. Each book only features one machine, so it's going to cost you more, but it will DEFINITELY be worth it, especially in increased circulation. This is a series called Seedlings from Creative Education. It's great to read aloud to young children or for beginning readers on their own. 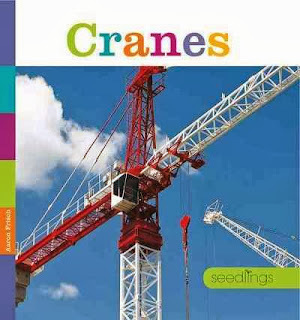 The particular title I sampled was Cranes. Each page has, in large, clear type, a few simple sentences. "There is a bucket or hook on the end of the cable. It lets the crane pick things up." The final spread shows all the different parts of the crane, there is a glossary, and a brief index and list of further reading and websites. What really made this an awesome series, which I will definitely be ordering, is the clear and organized layout. Each sentence fits perfectly with the accompanying photograph. When it talks about more detailed aspects of the crane, there are close-ups illustrating that exact thing. When it talks about cranes putting things on ships, there's a picture of a crane putting something on a ship. In other words, someone actually took the time to pick out decent stock photography and match it to the text, instead of just throwing in a bunch of random pictures. That's what makes this stand out and worth the extra money - instead of a random selection of stock photography and some bland sentences, the publisher has taken the time to actually create a book where the text and photos complement each other. Verdict: You need this series. You can buy it in paperback, library bound, or order now and wait for the pre-bound edition, which, according to my vendor, should be out in April. You will also want Bulldozers, Diggers, and Dump Trucks. This imprint also has a bunch of animal books which I would guess would be equally popular. Yes, I am in love. ISBN: 9781608183395; Published 2014 by Creative Education; Borrowed from another library in my consortium; Added to my series order list. To my sorrow, children's circulation was down about 2,000 in January. Oh the agony!! Our overall circulation was only down 800 though. Too many cold days on Monday/Tuesday, which are normally our high circ days, especially for children's materials. However, everyone returned to storytime this week, despite more snow. I took a couple hours off on Thursday, because on Saturday I went to the zoo! Totally work-related. They offered a class for early childhood educators on reptiles and, being a person who loves to do snake-themed storytimes, I needed to go. I also took Friday off as a vacation day. Spring cleaning! This was very much like Jacqueline West's The Books of Elsewhere, but weirder. A sort of creepy, alternate dimension of an alternate dimension. Sarah's weird grandmother has died and now she and her family have to spend the summer fixing up her strange house to sell. Sarah actually kind of liked her grandmother, at least what she knew of her through their letters back and forth, but it's obvious that Mom has some unresolved issues. 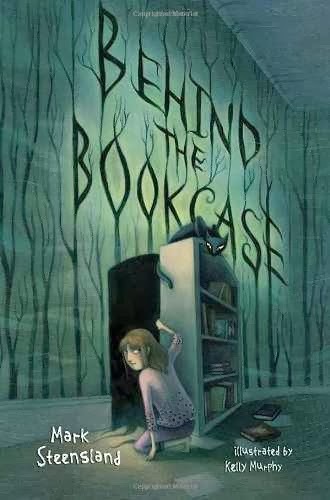 Then Sarah discovers a secret world behind the bookcase in her room. Some parts of it are mysterious and beautiful, but more of it is terrifying and creepy, like the blemmyes or the sentinels who carry their heads in their hands. Luckily, she meets of the King of the Cats, Balthazat, who offers to help guide her through the mysterious land of Scotopia if she will just let him visit her own world. There are plenty of hints in the text as to what happens next of course - Balthazat is lying and Sarah finds that her grandmother's house is actually a kind of Limbo for the dead. There's also another parallel world to Scotopia, in her brother Billy's room, but the angel-like creatures there aren't able to help her defeat Balthazat, after he gains an entrance into her world. It will take all of Sarah's courage and help from some friends to escape Scotopia and take her rightful place as her grandmother's heir and guide the dead on to their next resting place. There is a lot of symbolism and contextual hints in this book. The blemmyes are creatures from medieval myth, whose heads are in the center of their chests. Scotopia, "the land where shadows come from" is actually a Greek word that means to see the in the dark. Balthazat is a thinly disguised version of Satan - he "falls" from Ormaz (which is full of light, clouds, and winged creatures) to rule his own realm of shadows. He's definitely a great deceiver and takes in everyone who visits his land, trying to get them to allow him to visit their own world and taking them prisoner when they don't help him. Penumbra, a sort of Limbo for the dead, is another shadow-related word. It basically means "the place between full light and full shadow" i.e. the place between Ormaz and Scotopia. The thing is, I'm not sure what the point of all this is. Yes, Sarah has an adventure, one that's creepy, weird, sad, and frightening at various points and at the end realizes its her duty to take over her grandmother's place and guard the house which is a sort of portal for the dead, but it all seems rather....pointless. The big climactic finish is when Sarah uses the "undoer" (which is basically a pen) and sends everyone back where they should be...which basically means they are back at the beginning, only the prisoners Balthazar took have returned home. Sarah seems much more casual than you'd expect about becoming tied for life to a strange house and being though crazy by, well, everyone except maybe her younger brother. At the very end, she's going down to show her parents Penumbra and the ghosts, but there's no guarantee they'll actually see them, especially since her mother lived with her grandmother for years and just thought she was crazy (and had a miserable childhood as a result). Of course, a lot of these objections are from the viewpoint of an adult reader. But I think even kids are not going to be wowed by this rather meandering series of creepy adventures. Verdict: The problem is, the story isn't creepy-scary or creepy-silly - it's just...creepy. The kind of thing that makes you feel nervous and depressed for hours after you finish it. I noticed that most of the reviews are from teen or adult authors and I really don't think this is a book that will really appeal to its middle grade audience. Some kids might enjoy the strange creatures and a lot of the adventure part is pretty well done, but overall I would recommend getting Jacqueline West's series for all your creepy fantasy needs and leave it at that. I think Holly Webb might be my new favorite author. I've been indulging in a few of her books each month from the UK and this is the latest series I tried. Emily Feather is the ordinary one in her family. Her mother is an amazing fashion designer, her father writes fantastical horror stories, her older sisters are good at school and popular, and her younger brother is everyone's darling. The only thing Emily can do that is special is cook - and even that doesn't always work the way she wants. But sometimes, especially recently, she's been seeing things in the house. Strange, possibly magical things. Now her family is acting strange - what is going on? I love that this isn't the typical "ordinary girl discovers she's extraordinary" type of fantasy. 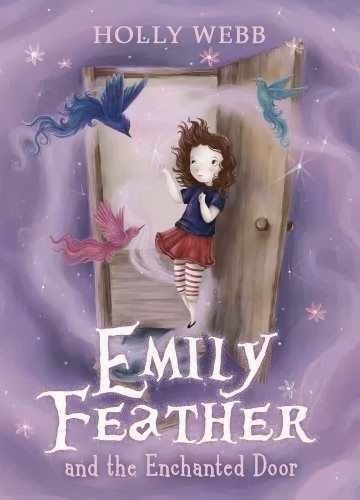 Emily Feather is, well, just Emily all the way through to the end, even though magical things happen around her. She has to accept that her family loves her even though she's not magical and there are hints that she'll have to find her place in a world where she doesn't fit in. This is a short, delightful read at less than 200 pages. 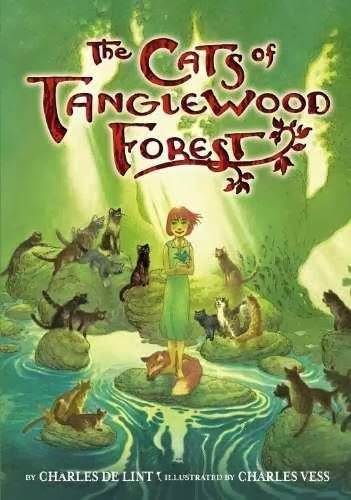 It's difficult to find these light, magical stories for young readers, especially ones that don't hammer home some lesson about Friendship, Being Yourself, or Other Moral Virtues. Sometimes you just want to read a frothy, magical story with some thrilling moments, a little danger, and a happy ending. Verdict: Sadly, this isn't published in the US - YET!, but it's quite easy to purchase online, either through Amazon, Book Depository, or Baker and Taylor, which allows you to order items from the UK (although they can take a loooong time to deliver). I can't wait to read the sequels and I can see a lot of young girls adoring this series. Most boys aren't going to pick up something that's so purple and floaty, but if you can get them to ignore the cover they'll enjoy it as well. More than worth a little extra time and money to purchase and add to your collection. I was intrigued by the idea of this book and while it did follow through to some extent, I had a few problems with the layout. So, exactly as the subtitle says, it's "exploring feet, flippers, and claws." It's a little like Steve Jenkins' What do you do with a tail like this? but with photographs. You open it to a giant, full-page spread of a hairy paw and it asks "whose foot is this?" The next spread has a small caption in the top corner saying "feet that walk". The paw is identified as a tiger, which covers one page, and the opposite page shows the undersides of four other feet - a snail, elephant, beetle, and ostrich. This is the basic layout of the book, which contains "feet that climb" (featuring a gecko), "feet that swim" (featuring a duck), "feet that dig" (featuring a tortoise), "feet that jump" (featuring a kangaroo), and "extraordinary feet" (featuring a lobster). The back matter includes an index of the animals and a brief note about the author. The one thing that bothered me, was the sometimes confusing grouping of animals. 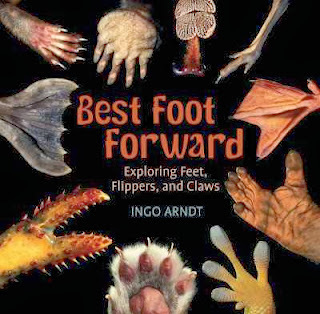 The long-horned beetle, included with the tiger in "feet that walk" should actually be in "feet that climb." In feet that climb, all of the creatures pictured have suction toes of one kind or another...except the chimpanzee, which grips. Also, instead of one animal per panel, there's two pictures and two captions of the red-eyed tree frog, a whole picture of the animal and a close-up of its foot. He does the same thing again for seals in "feet that swim". In "feet that dig" only two other animals are pictured and the captions are set in the two empty squares. In "feet that jump" the squirrel has a full-body picture and a foot picture, there's a picture of a hare's foot, and then an empty square, used for the captions. These aren't major objections, but they do give the book a slightly confused feel, at least for us obsessive types who want all the layouts to be the same. I think it could also be somewhat confusing when trying to show this story to kids - I'd add in pictures of the animals whose feet were featured, to make things clearer. Verdict: While I did think the layout was confusing, it's a really fascinating concept and quite well-done. I will most likely purchase this (nothing is certain in this vale of tears) and I'll probably use it in storytime at some point, although with some additional stuff. Probably laminated pictures for the flannel board or something. Mad Scientists' Club: What Floats Your Boat? More sub-zero temps on Monday and Tuesday - school was closed, we closed early Monday, which cancelled Tiny Tots and Pattie is employed by the school so wasn't available Tuesday. I did an emergency toddler storytime, basically a repeat of the puppet program last Friday with a few books snagged from my professional collection. About 6 people came to each session. This also cancelled the second visit from Lakeland that afternoon and a school awards thing I was supposed to go to on Monday night. That was a really boring webinar. I'm sorry, but it was. Despite all the snow dumped on us on Thursday, 50 people still showed up for Mad Scientists Club. I was exhausted, but made it through anyways! 7 kids came to Teens on Screen. Overall, we've had a pretty good month despite weather and the resultant lower circulation. Mister Orange - We have this because I had a review copy, but it doesn't circulate. Nino wrestles the world - Purchased! Maria had a little llama - I looked at this, but didn't ultimately buy it. I think I will go back and get it. Tito Puente - No. No more picture book biographies, although this is a fun one! Lightning dreamer - Another book about Cuba by Engle. Probably in verse. Probably beautiful, but how many of these do I need? No. Living by Matt de la Pena - Told my YA purchaser to look at it. Locomotive - Purchased! I actually really liked this one, although I've felt so-so about Floca's other books. I can see the reservations about some of the way the history is presented, but I think this is a good introduction for the age group and would hope they would be exposed to the darker side of the railroad when they're older perhaps. Journey - Purchased! I loved the art in this wordless book. Flora and the Flamingo - Purchased! Not my favorite, but people do like it quite well. Mr. Wuffles - Purchased! Although it really hasn't circulated well. In fact, when I was weeding the Ws, I realized that Wiesner's books really aren't circulating much at all. Hopefully more space on the shelves will fix that. P. S. Be Eleven - I'll have to look at how the first one did and then maybe I'll get this....first one hasn't circulated in almost two years and didn't circulate well before that. Historical fiction isn't our thing here. Knock Knock - I looked at this, but ultimately decided no. When the beat was born - This will make one of my Cybils judges happy, they really liked this one! But no more picture book biographies! Darius and Twig - I never heard of this! Ah, it's teen, that would be why. Maybe we'll get it. Maybe not. I'll mention it to the YA purchaser. Words with wings - I'm not purchasing poetry unless it's something that can go in picture books. Nelson Mandela - Hmmm. I looked at this earlier, when it first came out, but picture book biographies are a hard sell. There is renewed interest in Mandela...I'll look at Kadir Nelson's other titles...no, not high enough circulation. Maybe I'll go back and get it when I get to history/biography in the picture book neighborhoods. Which will probably be 2015. Watermelon Seed - Yes! We love this book, although it's in picture books. Big guy took my ball - seriously, just rename it the willems award people! Penny and her marble - yes. very nice. Flora and Ulysses - Purchased! 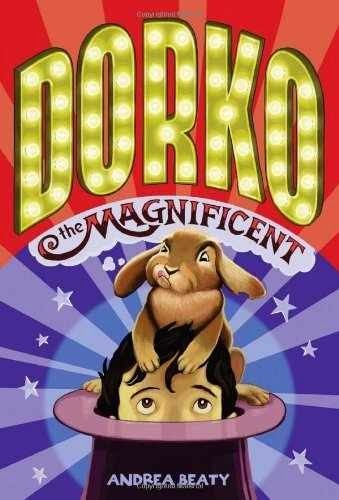 Haven't read it but I do have DiCamillo fans. Doll Bones - Added a review copy I received for a blog tour. I quite liked it, but it doesn't circulate as well as one might hope, which is what I've heard from a lot of librarians. Year of Billy Miller - Purchased. Pretty decent circulation. One Came Home - Added a review copy, although I never actually reviewed it - it just didn't grab me. It's gone out so-so, but this might pop it up. Kingdom of little wounds - Never heard of it. Maybe? Maggot Moon - I looked at this. Probably not. Navigating Early - Waaaait, isn't this a juvenile book? I was going back and forth on purchasing it, because some kids did read Moon over Manifest, but if it's teen never mind. Parrots over Puerto Rico - I did not buy this and I'm not one of its many fans. That's all I'm going to say. Splash of red - picture book biographies AGAIN?? No. Look up! Bird-watching - YES! I bought this, I loved this. Locomotive - Like I said above, I really liked it and I can see it as Caldecott, but Sibert? No. There the historical issues to me are a problem. Mad Potter - sounds interesting, but I didn't buy it - I don't think the cover will circulate.